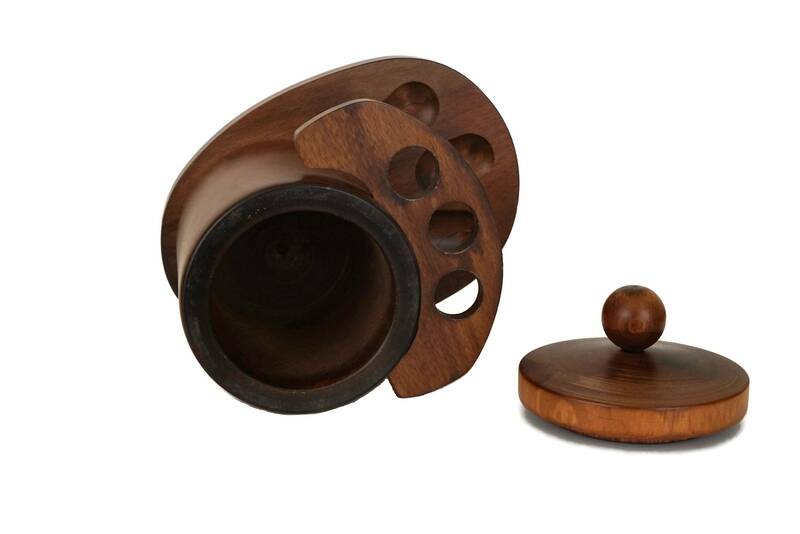 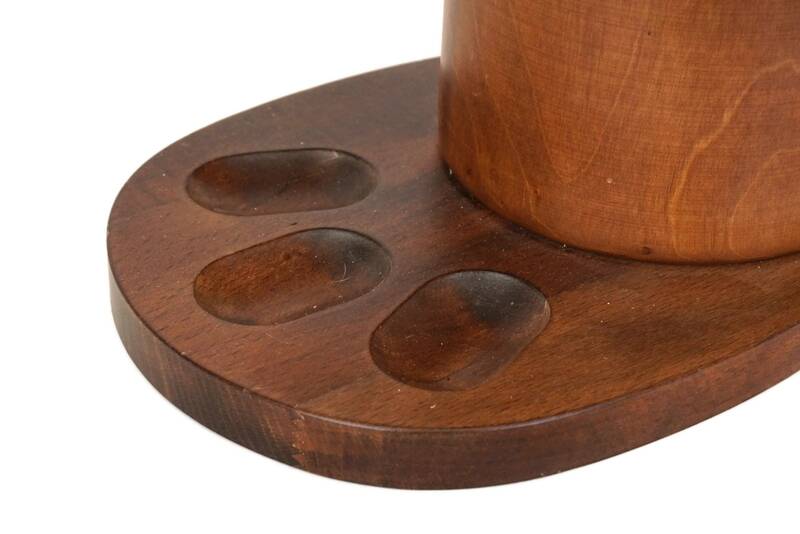 A stylish vintage French wood pipe stand and tobacco humidor dating from the 1970s. 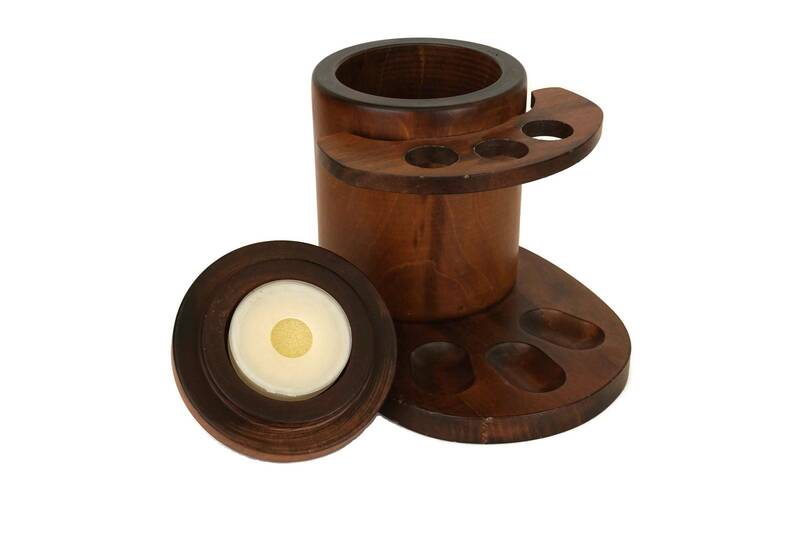 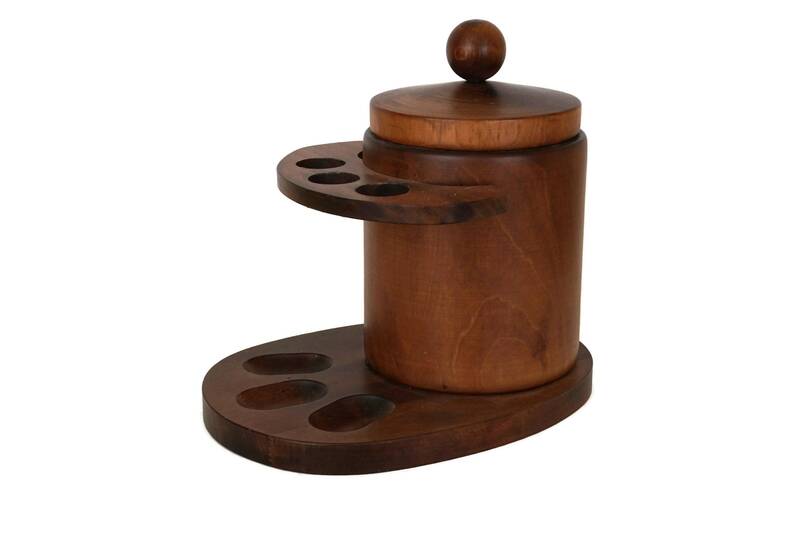 It features a large pot for storing pipe tobacco with a rack for three pipes. 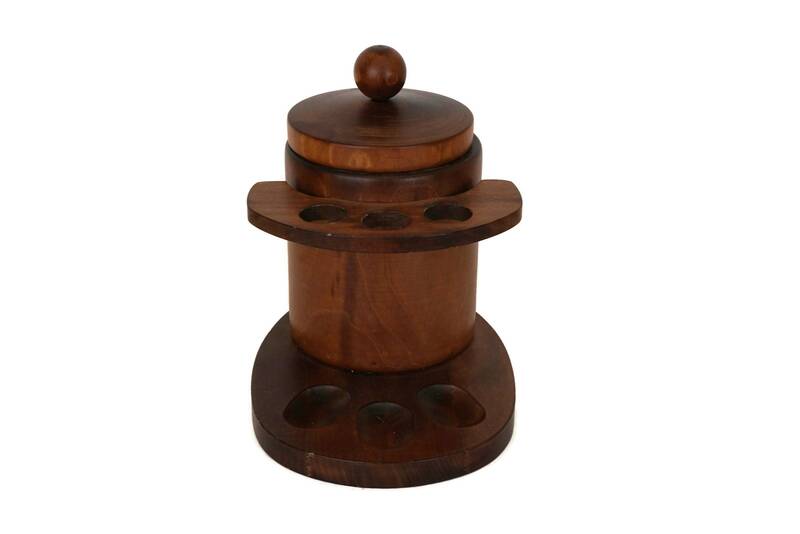 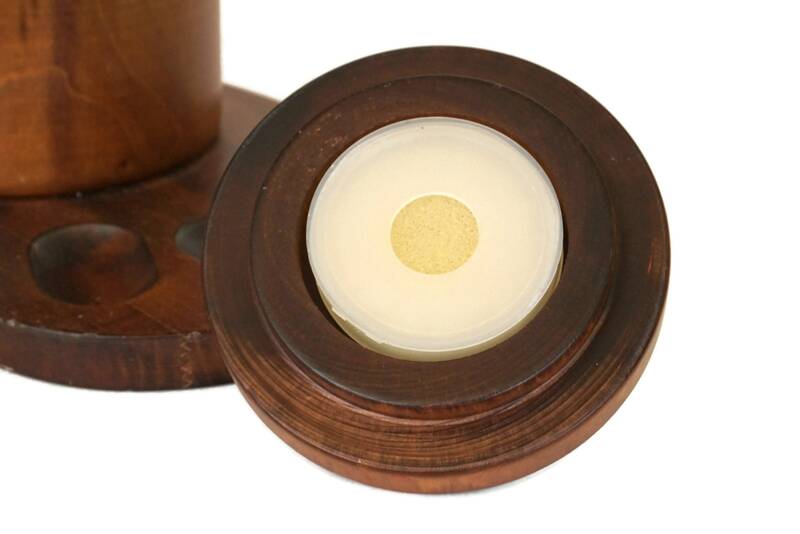 Handcrafted from fruit tree wood, the tobacco jar has a lid with a sponge in a holder, which when moistened, maintain a level of humidity for the tobacco. 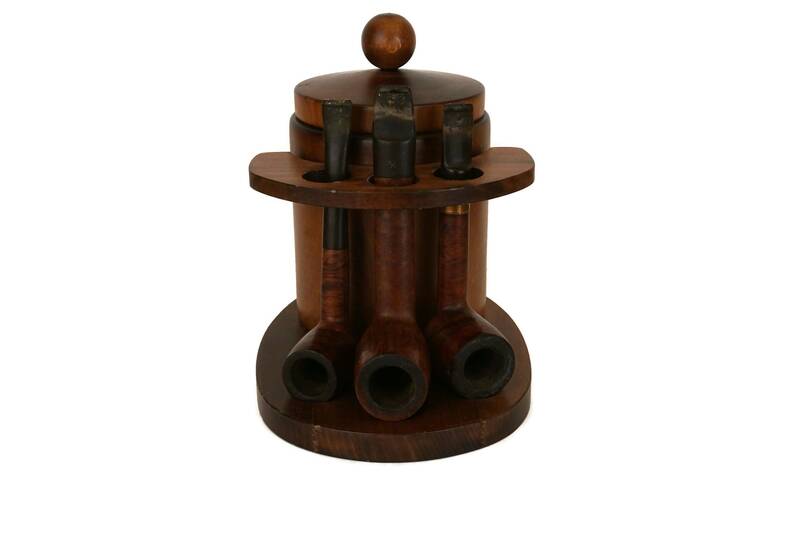 The pipes in the photographs are not included and are for display purposes only. 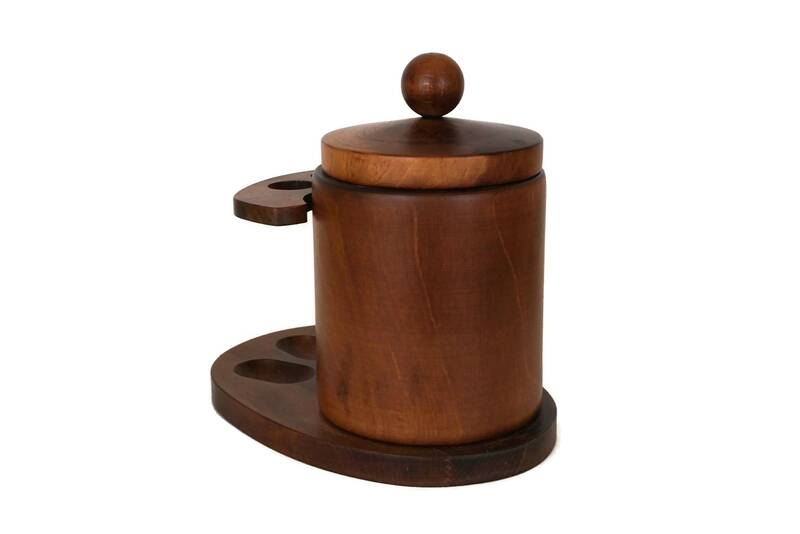 8" Tall x 8" Wide (20 cm x 20 cm). 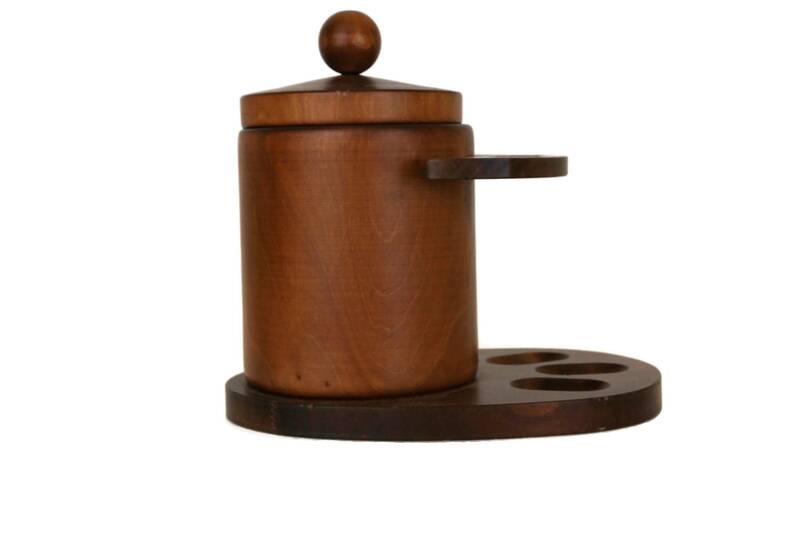 The pot is 4" in diameter (10 cm). 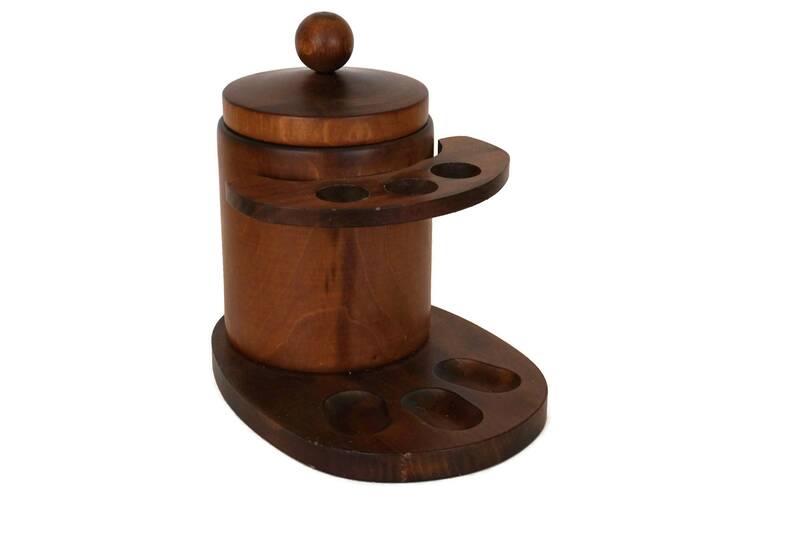 The wood pipe holder and tobacco humidor are in excellent condition.